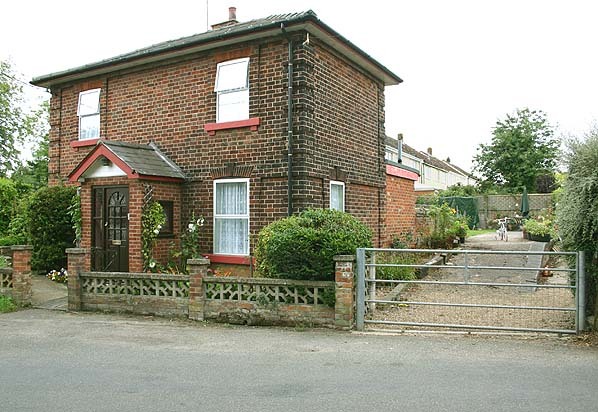 Present state: The crossing keeper's house and a short section of the Sudbury platform are still extant. The station buildings were demolished before the track was lifted to accommodate new housing alongside the track. 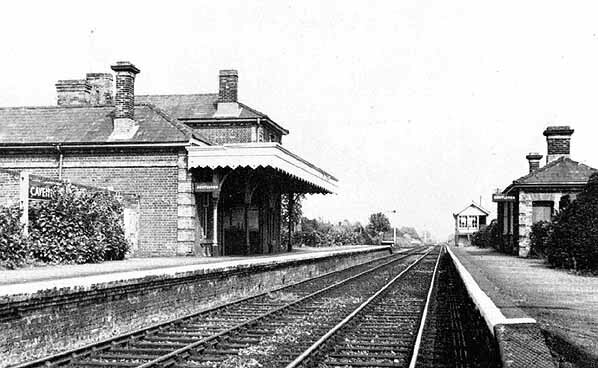 The rest of the station with the exception of the short section of platform was demolished in the early 1970's. In 1846 the Colchester, Stour Valley, Sudbury & Halstead Railway was authorised by parliament to build a 12 mile line between Mark Tey and Sudbury. On 1.6.1847 further Acts were obtained allowing the company to extend from Sudbury to Clare with a branch from Melford to Bury St. Edmunds. The company was leased to the Ipswich & Bury St. Edmunds Railway which was in turn absorbed by the Eastern Union Railway the following month. The line from Mark Tey to Sudbury opened on 2.7.1849 and on 1.1.1854, the Eastern Counties Railway (ECR) took over the Eastern Union Railway. In July 1860, the newly formed Sudbury & Clare Railway Company revived the 1847 Act and by a new Act of July 1860 they were empowered to build a line from Sudbury to Clare via Melford. However, as soon as the powers were obtained, the ECR took over and immediately sought extended powers to build from Sudbury to Shelford on the London-Cambridge main line, plus a branch from Melford to Bury St. Edmunds. At the same time, the Colne Valley Company, anxious to be independent from the ECR, sought approval for a line to Cambridge. 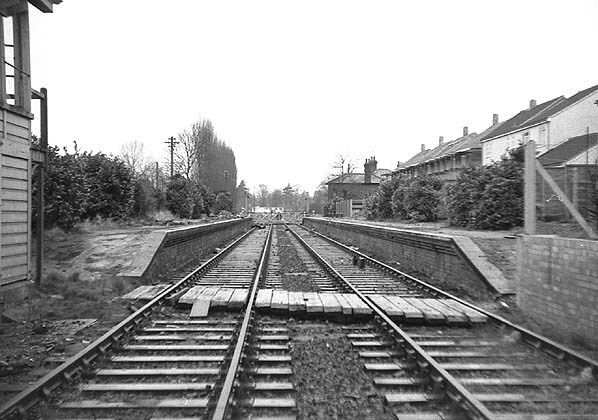 In April 1965, the British Railways Board gave notice of their intention to close the line from Mark Tey to Cambridge with total closure planned for 31.12.1966. The Minister of Transport refused permission to close the Sudbury to Mark Tey section because of commuter needs and planned development at Sudbury.